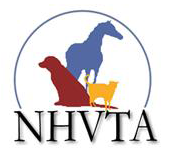 Please join us for one of these NHVTA offered CE lectures! Dr. Estle will be speaking on the topic of canine reproduction and responsible breeding. The subject matter will address breeding ethics and responsibilities and will also discuss special considerations necessary for at-risk animals such as transport or shelter dogs. This 2-hour lecture will explain how to use external and internal (radiographic) anatomic landmarks to achieve and assess proper positioning of thoracic and abdominal radiographs. Multiple radiographic examples and case studies will be employed to illustrate the clinical importance of good positioning. Other topics such as radiation safety, the effects of scatter radiation, the effects of gravity on pulmonary inflation and geometric distortion will also be touched on. Thank you to Associated X-Ray for sponsoring this event! The registration limit has been reached for this event. Use the link below to be added to the waitlist to be notified if a spot opens up. Opioid backorders and shortages have been affecting veterinary medicine for the last few years. It is the hot topic of blogs, social media posts, anesthesia groups, and staff meetings everywhere. There are other options! This lecture will discuss the current predicament and offer solutions that will still provide your patients with adequate analgesia using a multi-modal approach. Continuing with the discussion of opioid shortages, it is important more than ever that we learn how to provide locoregional anesthesia whenever possible. This lecture will highlight several blocks that can easily be mastered by veterinary technicians in any type of practice. Speaker Bio: Jaime has been working as a certified veterinary technician for over 19 years. She is an active member of the Academy of Veterinary Technicians in Anesthesia and Analgesia and the Academy of Veterinary Emergency and Critical Care Technicians, through which she is recognized globally as a veterinary technician specialist in both anesthesia and emergency/critical care. Jaime currently works as a surgery and anesthesia technician at the Massachusetts Veterinary Referral Hospital in Woburn, MA and as a first aid and CPR instructor for Pet Emergency Education.